Here's another fun sketch by the fabulous Margaret Moody! 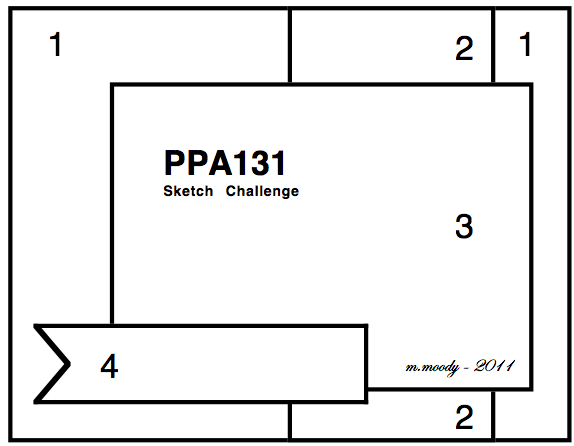 Hope you're ready to play along! 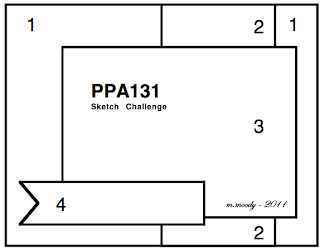 Join the PPA on March 15th and play along through the 22nd of March. Grab your supplies, any supplies will do, and play along! Don't both of these items scream SUMMER! I think so. Part of the wonderful perks of being a SU demo is the ability to preorder new items! The Summer Smooches Suite is available for preorder starting April 1st, so check out the SUMMER SMOOCHES BROCHURE to pick your favorites. 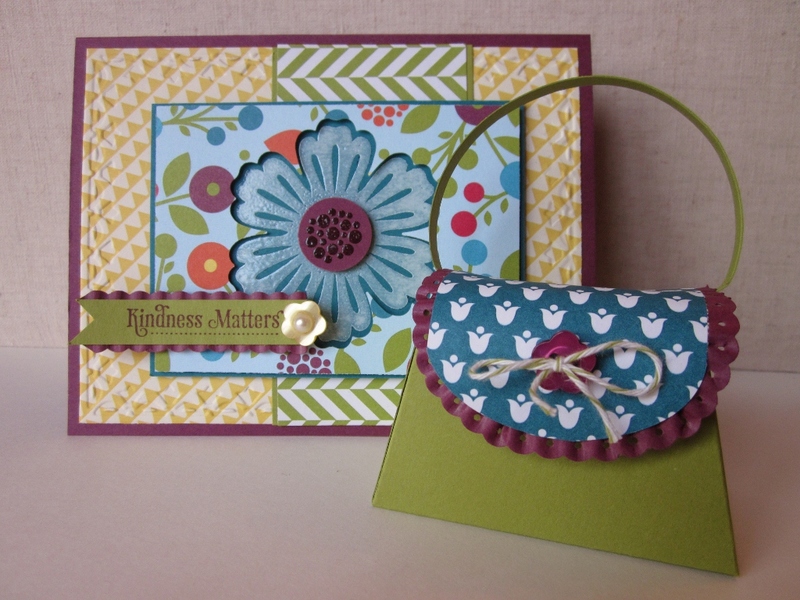 This whole card and purse are made using the new Summer Smooches DSP, the colors are fabulous! Rich razzleberry, tangerine tango, lucky limeade, island indigo, and daffodil delight are some of the colors in this DSP, all very fun. 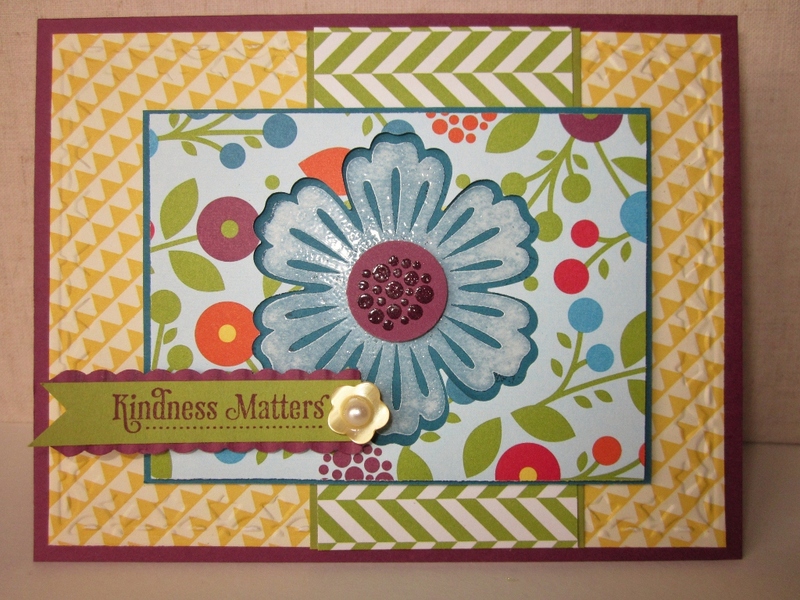 The new stamp set Mixed Bunch and matching Blossom punch make quick work for a great background. The DSP was punched, then stamped on the underlying island indigo in whisper white craft ink and clear embossed. 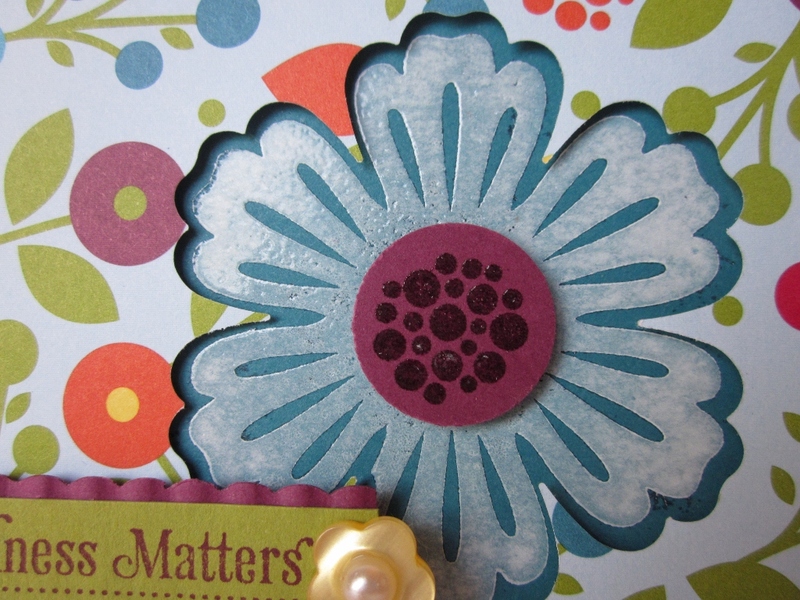 The new Bright Blossom Stamp set fits perfectly in the center of the flower. I used plenty of stampin dimensionals to pop up the DSP. 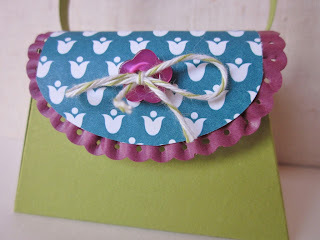 I cannot stop using the dotted scallop ribbon border punch! It's addicting, I ran it through the crimper for a ruffled effect! Love it! The Kindness Matters stamp set is perfect since this card is going to one of Mackie's teacher's for Appreciation week. A simple button with a pearl gives it some dressing up. The daffodil delight DSP was embossed with the framed tulips EF. 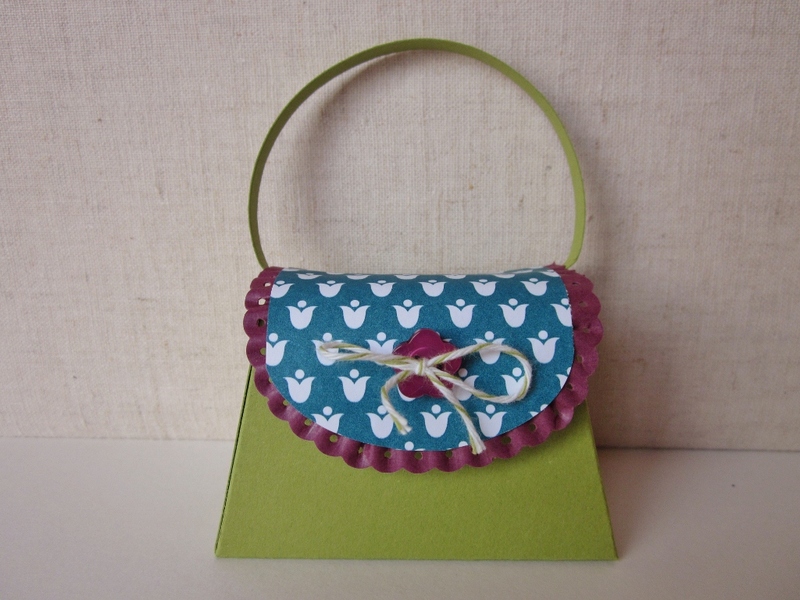 Now on to this cutie little purse. This die is also part of the summer smooches preorder. 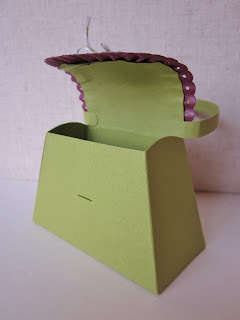 Usually, I wait on the dies to see how I can use them, not so with this purse! I had to have it. It is a petite purse, but it is so simple and easy to use, this purse was done in minutes. There you have it, two great summer projects! If you have any questions, just ask, make sure I have your email and I will answer them all. Thanks so much for stopping by, hope you were inspired today, enjoy! How fun! I love the embossing on the Mixed Bunch flower, it looks great! I love these bright colors and all the smoochie stuff! That little purse is adorable! Beautiful card and FANCY purse!! Sandie! 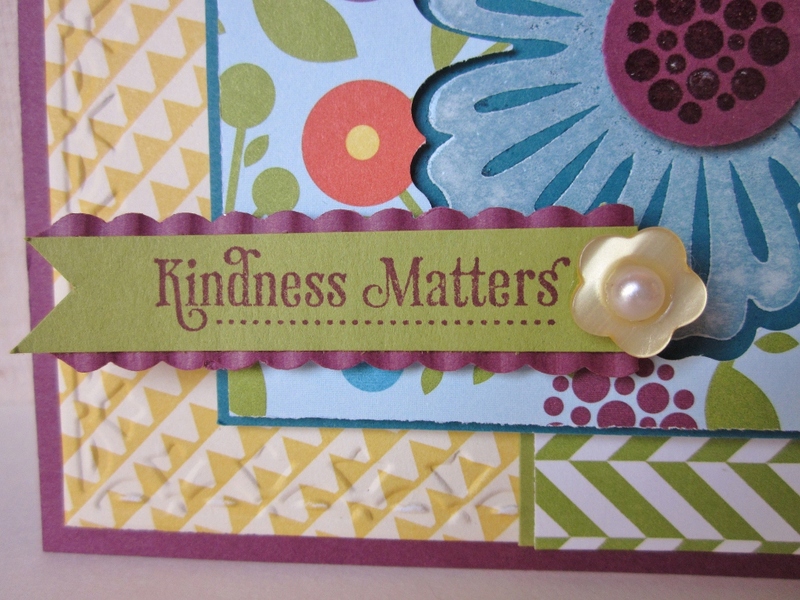 Love how you incorporated the punch flower onto the design and the use of the DSP. Great job! 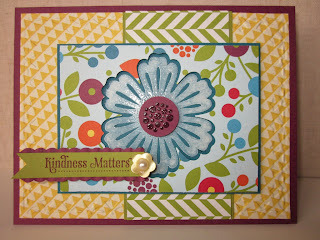 Beautiful use of the new Smooches paper! I love your blend of patterns! I love the sentiment and how you ran it through the crimper - GENIUS!!! Such a delightful card! Too cute!!! 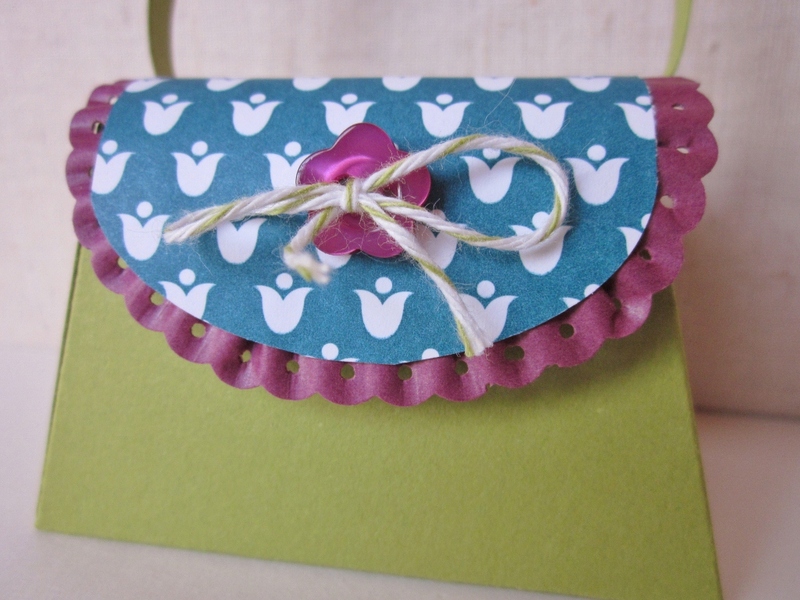 Love how you added the card stock ribbon to the purse, awesome!! 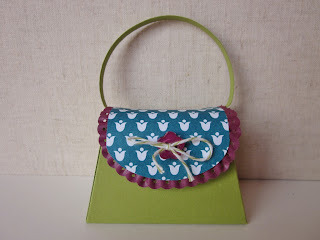 I will be featuring this purse on My Crafty Picks #58 with a link back to your blog on 3-25-12. 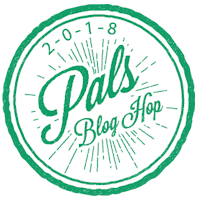 Make sure to stop by to check out all the picks and to pick up your blog badge to display on your blog for being featured! !